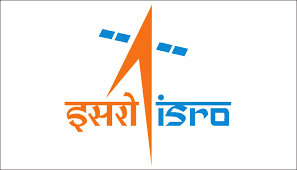 ISRO-Space Applications Centre Scientist, Technician, Cook Jobs Notification 2018 Released. SAC Recruitment 2018 2019 Apply Online Application Form for 80 Scientist/ Engineer, Technician ‘B’ Fitter, Technician ‘B’ (Electronics), Technician ‘B’ (IT/ICTSM/ITESM) Posts Apply Online through Official website www.sac.qov.in. The last date for submission of Online applications is 02.04.2018. Prospective candidates will have to apply before carefully reading the advertisement regarding the process of examinations and interview, eligibility criteria, Offline registration processes, payment of prescribed application fee/intimation charges, ISRO SAC Career 2018 Scientist-Engineer Posts, SAC pattern of examination, SAC Syllabus, SAC Question Paper, Admit Date Release Date, Exam Date, Result Date etc. the stipulated criteria before Applying online. Scientist/ Engineer – Ph.D. in topics related to fields of Electronics/VLSI/Microwave. And M.E./M.Tech with specialisation in Electronics/Electronics & Communications/Electronics and Telecommunication/Electrical & Electronics And B. E./B.Tech in Electronics/Electronics & Communication/Electronics and Telecommunication/Electrical & Electronics. Cook – SSLC/SSC/Matriculation Pass And 5 years experience in a similar capacity in a well-established Hotel/Canteen. Candidate’s Age Limit Should be between 18 years to 35 years. The Upper age limit is relaxed by 5 years for SC/ST; 3 years for OBC, 10 Years for Persons with Disabilities (15 years for SC/ST PWD’s & 13 years for OBC PWD’s) and for Ex-S as per Govt. of India rules.